My book, “Navigating by Intuition” is among the top 100 paid books for its category, now at Number 2 for Occult/ESP. “Navigating by Intuition – How to Follow The Signs” has been selling well since I published it on October 1st, 2011. I check the statistics once in a while and how many books I’ve sold but, not much else. When I first published the book, I think it was around #176,000 in ranking for paid Kindle books. It started moving upwards within a day or two. It has been hovering around #60,000 for some time but, I really haven’t been paying attention to the numbers. I figured that as long as it was selling, that was good enough. For some reason I never made the connection that, I too ought to check my category rankings on Amazon, even after posting Debra’s inspiring interview. What “high ranking” is he talking about?, I thought as I hurriedly clicked over to the Amazon site. You can imagine my surprise….. Apparently, Navigating by Intuition is in the Top 100 for its category! About a month after I put the book on Kindle I finally “remembered” to take a snapshot of the ranking of the book. 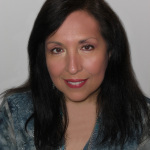 How could I have missed being a top 100 selling author in the Category of Occult/ESP? Could it have ranked higher at some point? I’ll never know now, I suppose. I’ll have to write a new book titled: How I Missed Being an Amazon Best Selling Author. I’m actually thrilled with this news today so, wherever the book was in the past is irrelevant. It’s today that counts. Now I have two reasons to celebrate: Powered by Intuition turned two years old on January 10 and apparently, Navigating by Intuition is a Top 100 Paid book in the Kindle Store for its category at #2 on the list! Do check the statistics in your book’s category. You just never know. For the most part, I think of myself as pretty smart but, sometimes….I’m as slow as molasses. This is one of those times. 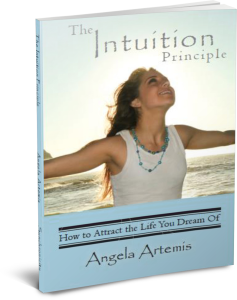 I promise to track my next Kindle book, “The Intuition Primer: Practical Lesson to Launch Your Intuition” from the beginning on Amazon! Have you ever over looked something and felt pretty stupid about it later? Do you have any advice to share about over looking something important? If you enjoyed this post please do share it. Sharing is the greatest compliment you can give me! P.S. 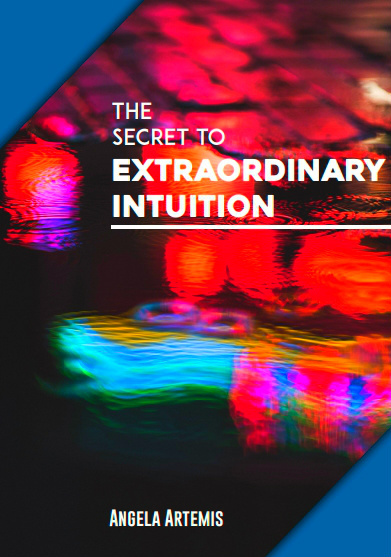 While you’re here do subscribe to the updates and newsletter and receive the first chapter of, “The Intuition Principle,” as my gift to you. There may be mant of psychics in the world, but not many can teach and show others how to find their intuition & inner wisdom. It’s a much needed book! I have you to thank in part. One reason the book is doing well is because of all the great reviews on Amazon. Thank you! I really think we can all be our own “psychics” if we learn to trust our intuition. It’s very important. I’m going to share something that happened to me many years ago in my next post. Congrats, Angela and thanks for the mention. Don’t worry about that $.99 — it’s just the beginning! How awesome is that??????????? NICE! Congrats to you! Well deserved! I’ll have to keep a better eye out on mine too, lol. I rarely check those either. HOW COOL! Yay for you!!! Congratulations! Made it to Number 1 on Amazon. Wow! Just wow! Thank you Caspar. It’s down to #2 today but on the whole I’m quite pleased with my book! Congratulations! Loved the humor. Being funny helps get you to the top! Thank you!! If only it was priced higher than .99 cents. For all the books I sold I made a whole $20! And, thank you for that wonderful video too. I used to watch the TV show when it was on years ago and always loved it! I’ll have to look for my book, too. I downloaded yours and loved reading it. Have you made a page for yourself at author central on Amazon. They give you some good insights there as well. Looking forward to your next book. Yes, you should look. I learned this lesson yesterday. You just never know! The book had moved up to #2 last I checked. I just came back a walk and it’s now #1. I can’t believe it. I’m astonished. Wow Angela – Congratulations indeed! I was amazed as well. How exciting! So happy for you, Angela! Watch it go to the top! 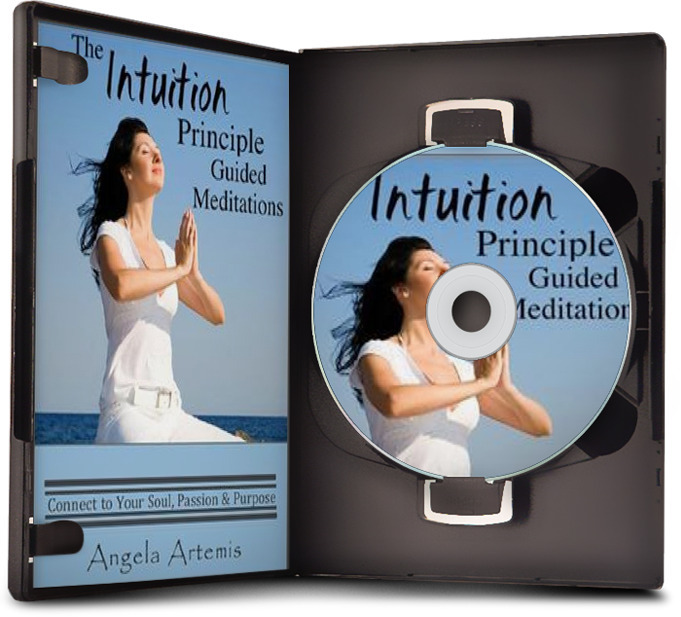 And am sure your new book “The Intuition Principle” will, too! You are amazing! Hugs! Thank you so much! It’s very exciting. Last night it was up to #18 right above James Van Praagh’s book! You know what? I can’t believe it but it did just hit #1? I don’t know what will come of it but I’m enjoying the ride. HI Angela! I didn’t realize you had a book on Kindle! I’m going over to buy it! I’ve been watching stats from my publication date – it’s fun! Congratulations Girl! Yes, I didn’t realize you had one too. I got your book yesterday. I’m very excited about reading it. Thank you for purchasing mine too. Thank you. I believe we both published our books at around the same time.